[prMac.com] New York, New York - Chromatic Bytes, LLC announces the release of ZeusDraw Mobile, a versatile drawing and painting program for the iPhone/iPod Touch. 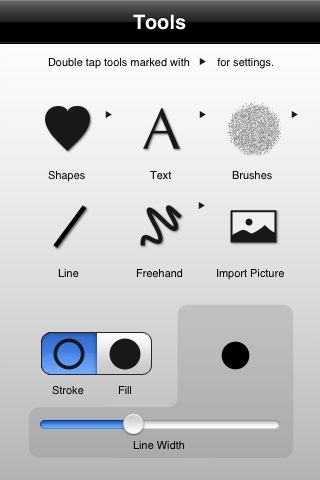 ZeusDraw Mobile is a professional drawing program for the iPhone/iPod Touch. It works for anything from doodling on a photo to serious drawing. *Editing - it's hard to get things exactly right the first time - especially on a small gadget! Use the iPhone's multi-touch capability to place, scale or rotate what you just drew. *Text - any font, any orientation. Tap to show where you want text to go or drag a line to show the size and orientation of your text, and then use the keyboard to enter your text. 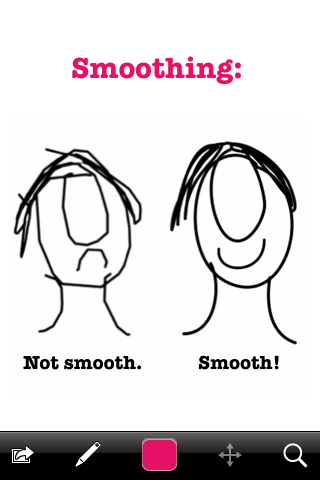 *Brushes - add texture or interesting effects to your drawing with ZeusDraw's brushes. Use them with transparent colors to get watercolor-like effects. *Color - customizable palette including transparent colors. *Eraser - any of the drawing tools, including text, can be used as an eraser. Erasures can be edited with multi-touch just like drawn elements. *Picture in Picture - you can, of course, use one of your photos as a background, but you can also import pictures to use as elements in your drawing and place, scale and rotate them like any other drawing element. *Shapes - selection of predefined shapes. *Zoom - zoom in to at work at 1.5x or 3x. *Drawing album - you can save your drawings to ZeusDraw Mobile's drawing album. In the album you can change the orientation of a drawing, select it to continue work on it, save it to to Saved Photos or delete it if you no longer need it. ZeusDraw Mobile for iPhone is only $9.99 (USD) and available exclusively through Apple's App Store. Located in New York City, Chromatic Bytes, LLC makes Macintosh software for OS X, specializing in graphic arts software and iPhone applications. Copyright 2008 Chromatic Bytes, LLC. All Rights Reserved. Apple, the Apple logo, iPhone and iPod are registered trademarks of Apple Computer in the U.S. and/or other countries.